Alchemy of Opposites: An Interview with Robin Carnes. This is the fifth interview in an ongoing series called “At Attention, At Peace”; a conversation among teachers, students and officials in the military about the role of yoga in addressing PTSD. Click here to read parts one, two, three, four and six.To subscribe to the series, email ‘subscribe’ to [email protected] and receive links to a new interview each week. Since 2006, Robin has served as the yoga and iRest® meditation instructor for the Deployment Health Clinical Center’s (DHCC) acute Post Traumatic Stress Intensive Outpatient Treatment Program at Walter Reed Medical Center. Robin is a co-founder of Warriors at Ease, Inc., which trains certified yoga and meditation teachers in core competencies required to work safely and effectively in military communities affected by combat-related stress. To date, Warriors at Ease has trained almost 200 yoga and meditation teachers across the country. Robin is also a founding member of the Military Mind Body Health Consortium (MMBHC), a multi-stakeholder organization focused on bringing the power of mind body healing to military communities and military healthcare. Robin is well recognized as a pioneer and innovator in her field, and has been written about in the Washington Post, Yoga Journal, and Defense.gov. She has presented at numerous military healthcare conferences. Her work is featured in Amy Weintraub’s book, Yoga Skills for Therapists (Norton 2012). Lilly– In your training for yoga teachers preparing to work in military settings you use the phrase “alchemy of opposites.” Could you give an example of where two opposites in the yoga and the military have found alchemy? Robin– In our training for certified yoga teachers who don’t have specialized training in military culture or understanding trauma and how it manifests, we help the yoga teachers understand that they’re not just going into a different culture, but in many ways, an opposite culture. You might think that because two things are opposite they’re not going to work, but in some ways, I think it can be very powerful. For example, you’ve got this hierarchical organization, versus yoga where they’re always talking about inner authority. In the military, it’s a lot about rank, and looking to other people to direct you, and it needs to be that way for the purpose that they serve. So, hierarchy versus inner authority is one opposite. Another opposite is that the military is a very masculine culture, a very patriarchal culture, while in yoga, many of the main leaders in the U.S. are women, and it’s a very feminine culture, the way it’s practiced in the U.S. So those are two examples of the opposites. Lilly– What motivated you to start Warriors At Ease? Robin– Well, I had taught for maybe three years, and it was such a profoundly life-changing experience for me, and I had taught before that in military settings. I’d also taught in women’s shelters and brought yoga to at-risk kids. I was never too interested in yoga-studio work. I’ve always been interested in its healing properties. So I’d been doing it for about three years and was just getting constant inquiries from yoga teachers asking “How did you get in there? How did you learn what you need to know? Can you help me?” So I spent a lot of time talking to people about it and I was glad to help them. I had several other colleagues, doing similar work in VAs and we talked about how much interest there was in learning how to do this work. So, we formed a team and just started to structure and write down what we had been telling people and what we had learned so far, and it formed into and became what is now the full certification program. So it started out just on the telephone, and now it’s a full certification including a residential piece. Lilly– What some of the most important things that you’re bringing to teachers’ attentions to prepare them to teach in the military? Robin– Two very straightforward things come to mind. One is impressing the idea that your effectiveness as a teacher is going to hinge on how culturally sensitive you can be, because no matter how good of a teacher you are in other settings or how great at teaching asana you are, whatever it is you do, if you don’t speak directly to the people that you’re teaching in a way that is accessible and salient to them, nobody is going to come back. The other thing we emphasize is simply understanding the basics of trauma, how it happens in the brain, in the body, how that shows up in the room, and how does that affect the way you create and hold the space, as well as how you address people who are having trauma-related incidents in the classroom. We also talk about how it’s important to have boundaries, and how it’s different to teach in a clinical rather than traditional yoga setting. The subtext running through it all is that we’re trying to help people unearth or become conscious of their own largely unconscious attitudes about the military. For example, it is not uncommon, and again this speaks to that opposites culture, for our teachers to think “Oh these poor people, they had to kill people, they had to commit and live among acts of violence,” and, you know, “Ahmisa is the way!” And all of that. Your effectiveness as a teacher is going to hinge on how culturally sensitive you can be, because no matter how good of a teacher you are in other settings, or how great at teaching asana you are, if you don’t speak directly to the people that you’re teaching in a way that is accessible and salient to them, nobody is going to come back. Essentially, there’s a pity, not with everybody, but we want to dig down and get people to become aware of this if it’s there. It’s pity, and it’s that idea that “I’m going to fix these people.” The idea that they’re broken is an attitude that we work against. People in the military pick up on that right away. That’s part of the preparation that you can’t address explicitly but implicitly it starts to come up. Lilly– Do you have an experience of confronting your own conscious or unconscious prejudice or preconceived ideas about the military? Robin– Yes. I did not have any prior military experience or exposure, and, of course, I think of myself as a very open-minded person, but, one of the gifts of this work is that I have become more open-minded. Because I’ve had my assumptions, my biases, my self-righteousness about certain things challenged on a regular basis. Karen and I always say that we could write about how working in the military taught us yoga. So, am I against killing people? Yes. Am I against a lot of the things that happen in the military? Yes. However, after meeting countless people who have served their country one thing that got reset for me was this unconscious idea I had that people only joined the military for one of two reasons—either because they kind of have a violent streak or they have no other choice economically. Both of those ideas are extremely wrong. One of the things I have been so deeply moved by is the selflessness. I wouldn’t put my life on the line for this. If there was a conflict that I felt we could make a difference in by going to war, would I sign up? Would I want my son to go? No way. So, one of the things I have been so deeply moved by is their selflessness and their sense of duty. That they don’t owe! And thinking of it that way has tremendous meaning, even if their particular war that they’re being asked to fight doesn’t. Because it’s an act of tremendous selflessness. I’ve been really blown away by his common characteristic of military veterans. Lilly– It’s interesting to think about ahimsa, non-violence, as not telling someone what is right. Robin– It’s no different from any fundamentalism of any religion, even though yoga is not a religion, it’s not different than any other self righteousness. I did not have any prior military experience or exposure, and, of course, I think of myself as a very open-minded person, but, one of the gifts of this work is that I have become more open-minded. Lilly– To find new perspective is a big element of a yoga practice, I think. Do you have an example of a student or an experience that you’ve witnessed where yoga has not been effective or well-received? Robin– Oh yeah. I couldn’t think of a specific story, but I’ve probably worked with 600 individuals over the six years, and not all of them are open to it, and not all of them who are open to it receive it well. I’d say it works for the vast majority. I’ve even had some who were closed to it who showed up because they were required to, and it blew their socks off. I’d say 90 percent of the people, for the three weeks that I have them, feel some to a lot of a difference to their nervous system and their ability to affect their nervous system. Maybe 95 percent. Lilly– How would you define yoga, in terms of its relevance to veterans who are using it for just relaxation or basic calming principles? How has the definition of yoga changed for you in doing this work? Robin-Yoga is about learning how to become a more flexible human being, so that when life knocks the crap out of you, you can get up again. There’s no one that doesn’t apply to. It’s totally irrelevant how long your hamstrings are, even if you have hamstrings. That is not what it’s about. Lilly– Why not Taekwondo or swimming? There are lots of healing practices, what’s special about yoga? Robin– I would say self-awareness paired with compassion. There’s lots of practices that can teach us about ourselves but if you’re only looking at the truth with a harsh, critical view of yourself, you’re not gonna be able to look for very long. It’s gonna shut you down. So I think the two have to come together. Yoga is about learning how to become a more flexible human being, so that when life knocks the crap out of you, you can get up again. There’s no one that doesn’t apply to. It’s totally irrelevant how long your hamstrings are, even if you have hamstrings. That is not what it’s about. I don’t usually use the word “compassion” with the people I work with. I say, “Have you ever been around anybody who really got you and you could just be the way you were? And they just loved you and thought you were great? Who didn’t put you on a pedestal, but acknowledge your screw-ups but are still on your team?” And they’re like “Yeah!” Most people have had somebody like that in their life. So I ask them, “How was that? What was it like to be around them?” And there like “Wow, I felt good, I felt free, I felt confident.” So that’s what yoga offers: compassion paired with self-awareness. Lilly-What would you say are some of the more helpful practices for people with trauma, specifically? You know, when they leave the class and they’re facing triggers and challenges throughout the day. What is most helpful, in the car, in the family? Robin– I think learning to be aware of your breath, and learning to breathe in your belly. That’s the most helpful, on the go tool that people will tell me about. They’ll start to breathe deeply and that’ll help them with this and that, you know, getting an MRI, or being in a place where there’s too many people around, getting mad at somebody. So, I teach them IRest, asana, some Qigong, and pranayama. The order of their response has been IRest, first and foremost, as the most helpful as far as helping them to touch a deep place of peace or stillness inside. Even to just help them be quiet and not be distracting themselves, or making something fill up the space instead of just being there. The pranayama is second, and then the asana, in terms of what they’ve described. And they’re all physically banged-up, as well as psychologically. So, that does have an effect on how they respond to the physical part of yoga. Lilly– So, what would you say is a new concept of wholeness, in this practice, when dealing with injuries and restrictions? Robin– To feel connected to yourself, that there would be no parts that you wouldn’t be willing to acknowledge or be with. Feeling connected with other people, and feeling connected with meaning in life. In essence, I would say that being whole is being connected, rather than being fragmented. Lilly– What is the most difficult thing about this work? Robin– It’s the institutional hassle. I find almost nothing challenging about the work itself. There are difficult things, for sure, but it’s so unbelievably gratifying that the challenges themselves bring about creativity and patience and kindness, so you embrace them. The biggest struggle is dealing with the institutions: what’s outside the room. Lilly– What are some of those challenges and why do you think they exist? Robin– Bureaucracy is almost always a very difficult thing to do well. There are little microcosms in a big base that are relatively well managed and clear and getting good things done, but program managers kind of almost have to run under the radar of the rules and policies in order to get the job done well. So, bureaucratic inefficiency is a big problem. Then there’s the fact that we’re in the very beginnings of a huge paradigm shift in these settings. There’s widespread misunderstanding about what the modalities are and how to administer them in a good, effective way. So, for instance, when we moved from Walter Reed from D.C., where I was for five years, over to Bethesda, to be with the Navy and the Marines, the program came under a new organization housed in a beautiful new building. There were so many ways that I observed the well-intended efforts of the architects and planners reflected a lack of understanding about how to create a healing environment for people with combat-related conditions. For example, the yoga room is circular and has glass walls and two doors. This means other people can look into the space during classes. It also means that it is hard for people with PTSD in a yoga or meditation class to orient themselves toward the door, in order to feel safe. If you are facing one door, your back is to the other. This arrangement does not feel safe to many people with hyper-vigilance. In essence, I would say that being whole is being connected. We’re working with people who have severe memory problems, either because they have traumatic brain injury and/or PTSD. Again, well intended program managers and schedulers move the class to a different room all the time. So, while you might not think that’d be a big deal, it is a big deal. I could never convince the leadership of some basic essentials for providing care to this population. You need routine, you need structure, you need predictability, you need the teacher to be there smiling and set up when the students show up. So, that’s an example. Just a basic disconnect or misunderstanding about what the necessary conditions are to do this well. Are they doing the best they can under most circumstances? Yes. Lilly– What are some of your long term visions or hopes for what’s possible with integrating yoga into the military? Robin– Well, I would like to see yoga in its various forms, everything from very intense asana for able-bodied people to very gentle asana, to just pranayama, to just meditation, and every combination thereof be required as part of training before members of the military are ever sent anywhere. You need routine, you need structure, you need predictability, you need the teacher to be there smiling and set up when the students show up. And then, on every military base, there would be several options, different ways you could participate in this kind of self-regulating activity depending on what you liked and what you were able to do. I would like to see that every VA has at least 2 or 3 options taught by people who are really well-trained and prepared. I’d like to see third-party payment. I’d like to see yoga teachers paid well for their jobs. I’d like to see a hiring criteria that actually meets the core competencies that are needed to do the job, rather than somebody in some office of personnel management somewhere write something out that they think the yoga teacher does that doesn’t really have anything to do with what yoga teachers do. The third-party payment would be so people could actually have their insurance pay out for these very healing and therapeutic practices, so that yoga teachers are not volunteering to do this work. It’s good to volunteer, but I want us to be seen as a profession that contributes great value and people are trained well and they get paid a good wage for what they do. I would like to see yoga in its various forms, everything from very intense asana for able-bodied people to very gentle asana, to just pranayama, to just meditation, and every combination thereof be required as part of training before members of the military are ever sent anywhere. Judy Weaver: Co-founder Director of Education of Connected Warriors, a program based in South Florida that co-ordinates veterans and provides free yoga classes. As well as offering classes that blend the Ashtanga, Anusara, Iyengar and Yin tradition, Judy is currently designing and launching a 200 hour free teacher training program for veterans. *Sue Lynch- Executive Director of There and Back Again,- Sue began her yoga practice in 2001 in her efforts to manage symptoms of PTSD. Based on her personal experience, Sue is passionate about offering a comprehensive approach to healing to her fellow veterans now, not 10 years from now, so that they too can find relief. Sue works with the Veterans Administration, Vet Centers, Yellow Ribbon Program, Warrior Transition Program and Department of Veteran Services to educate and train staff and veterans on techniques to facilitate self-care. 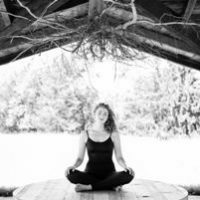 Lilly Bechtel, founder of Body Song Yoga, is a certified Kripalu and Trauma-Sensitive Yoga instructor and freelance journalist with 10 years of experience offering arts and yoga programs in correctional facilities, rehabilitation centers and veteran’s hospitals. Her writing has been published in USA Today, The Brooklyn Rail, Catalyst Wedding Co., Public Books and The Faster Times. Lilly is also the contributing editor of Best Practices for Yoga with Veterans, a book published by the Yoga Service Council in 2016. Currently living in her hometown of Charlottesville, Virginia, Lilly is the co-founder of Union Yoga, a small business offering yoga retreats for weddings and special events.